After cycling at Herne Hill Velodrome for a few years, Oscar started racing for VC Londres as a 12-year old and won bronze at the national youth omnium in his first year of racing. 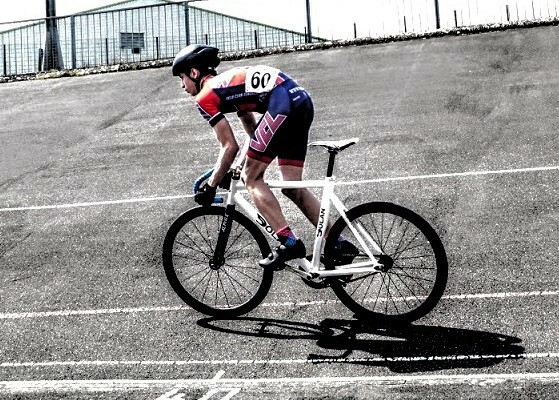 The following year he dominated the track omniums in the London Area as a first-year U14 and took 6th in the TT in the national final against older peers. This was also his first year of road racing and he was 11th in the circuit nationals held in Scotland. In December 2015, he won the unofficial U14 Madison title in Newport with his club mate Finley Newmark and at the beginning of 2016 he won the Icebreaker series in Newport, the biggest youth track races next to the nationals. Like last year 2015, he dominated the London Area national omniums during the Spring and is one of the favourites for the national omnium title to be decided in Cardiff in July. The 2016 road season has also come off to a good start with wins in regional road races as well as strong riding in the national series. 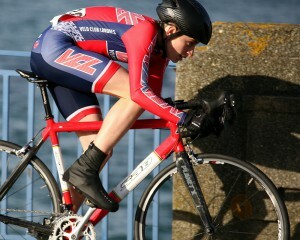 In April, he took the yellow jersey in the prologue at the Isle of Man Youth Tour along the sea front in Douglas. 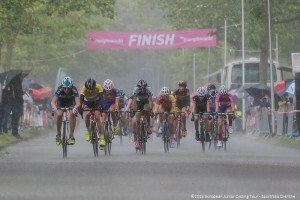 The next two stages were less fortunate, with a mechanical and a crash in the final stage as he was in a breakaway group. Oscar: “It was disappointing not being able to follow up on the prologue win, but that’s bike racing. That’s also what makes it exciting – the uncertainty and the risks. At least I know I am one of the fastest.” He says that he hopes his day will come if he keeps up the hard work. ‘And if my dad updates my bike to the 21st Century!’ he adds tongue in cheek. His father Olivier is one of the youth coaches at Herne Hill Velodrome. Oscar’s main goals for 2016 are the national omnium final in Cardiff (track) and the national circuit champs at Redbridge Cycling Centre aka ‘The Hoggenberg’ (road), both held in July. Come August, Oscar will be fighting for a podium spot again at the Assen European Junior Youth Tour in The Netherlands. Oscar believes trying to look too far into the future can jinx things, but if pressed, he will admit his dream is to ride the boards at the Olympics and race in the classics and the Grand Tours. In the meantime, racing at the Herne Hill track league with his mates and travelling to races across Britain is already like living the dream! The GLL Sport Foundation are very proud to be supporting Oscar this year and thank him for making the time to share his story! 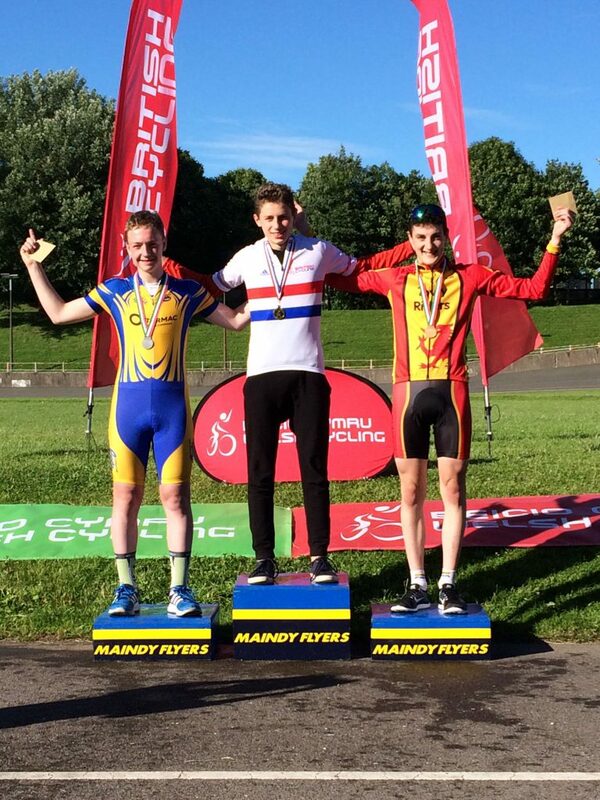 Oscar won the B Boys 2016 National Youth Omnium Final in in Cardiff on Sunday and is the 2016 UK National Youth Omnium Champion. He totally dominated a field made out of the best track riders in Britain in his age group. After winning the TT, the scratch, the elimination race and the Keirin, he only needed to complete the final points race to be crowned National Champion. The other medals went to Hamish McLaren from Scotland and Evan Richards from Wales. Oscar has reached his previous goal of 2016 so will have to come up with a new target!